Avanti culture is about constant and relentless improvement. Everyday is a competition, not only on the race course, but within our testing cycles and our design house. For 2017, Avanti has pruned back old branches to foster an explosive period of new and exciting growth. Avanti Means Forward. Forward We Go. It’s my pleasure to introduce our most exciting range to date. We continue to focus on clean technical designs that bring our customers the best rider experience on the market Grab a demo sail today and see for yourself. 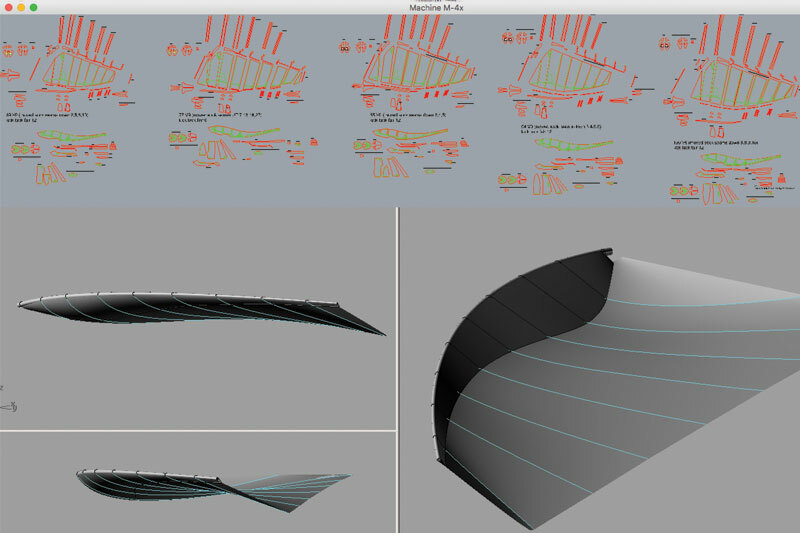 The 3D flying shape of an Avanti membrane is carefully planned within a host of in-house custom software tools, enabling precise modeling of shape and twist. 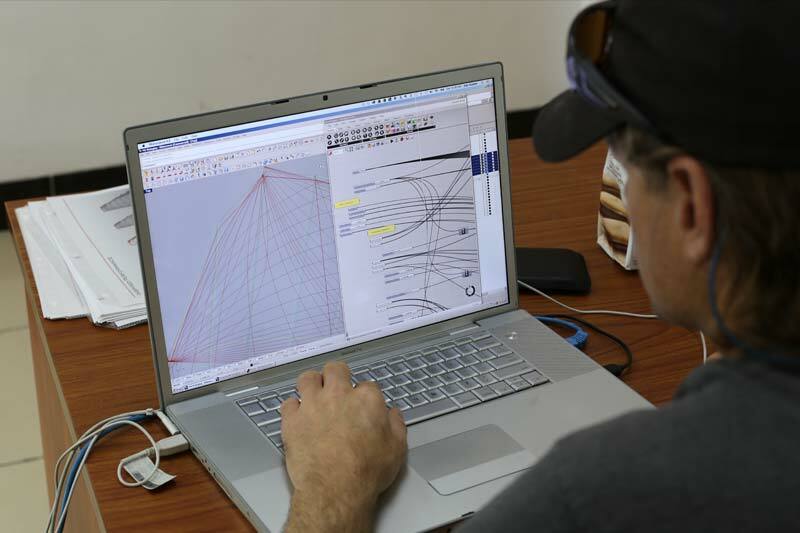 Somewhat under-utilized within the industry, at Avanti, true 3D tools are used to study and develop sail shapes alongside traditional methods. Aerodynamic considerations, dynamic and elasticity factors, and real-world feedback all work in concert to drive the development in a marriage of art and science. The key to an Avanti membrane’s superior performance hinges on the lamination of super low-stretch Aramid fiber along predicted load paths. Not only is the total dpi of fiber content controlled, but unlike a paneled sail, the location and orientation of each structural fiber in the composite is directly specified such that areas of high load are supported by an increase in fiber density. The software tools that Avanti developed for parametrically fiber mapping are unmatched industry-wide, allowing our designers to fluidly prototype virtually any layup imaginable, whether it is based on an output of complex FEA load calculations, or a simple change based on rider feedback. 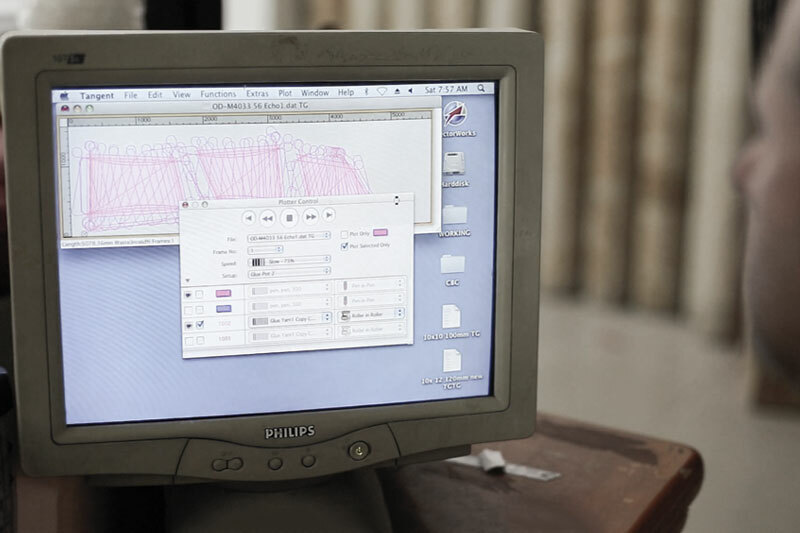 Once fiber has been mapped, the next step is generating the vectorscript files which define an efficient path for the gantry to follow in the stringing stage. Simple in concept, but highly complex as code, Avanti built it’s own ultra-advanced looping software to radically reduce production times and wastage. 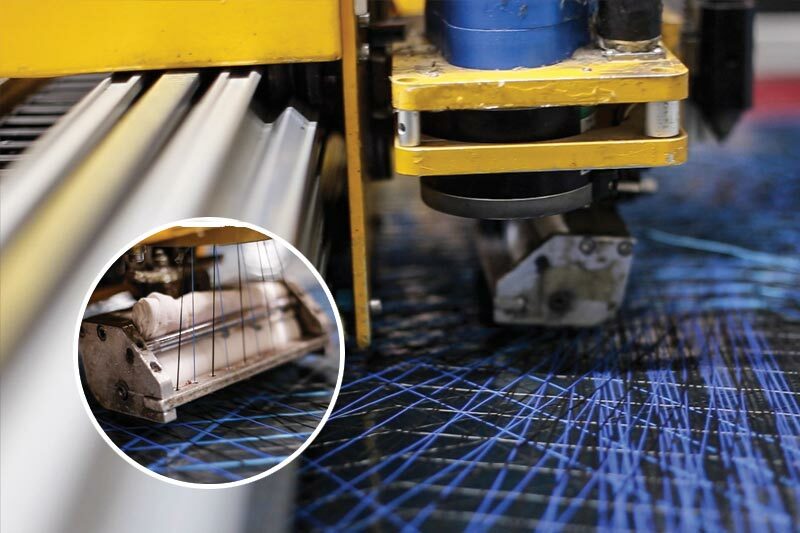 During the stringing process, as the gantry moves from one fiber pass to the next, the proprietary code calculates the most efficient route, and alternates loop directions to avoid tangles, and lay down fiber as efficiently as possible. A very thin layer of PET film is rolled out on the vacuum bed of an Avanti CNC stringing machine. This film has a very thin tack coat of super specialized contact adhesive applied to it in advance. The gantry of the stringing machine then follows an optimized path, laying fiber in designated bands according to design parameters. For this to work, a series of bobbins travel with the machine as it moves. Yarn streams from those bobbins, dip in a glue bath, and pass through a squeegee to remove excess adhesive. The sticky yarns each pass through a tensioning control system, and are eventually pressed onto the open-faced film by a pneumatic roller. 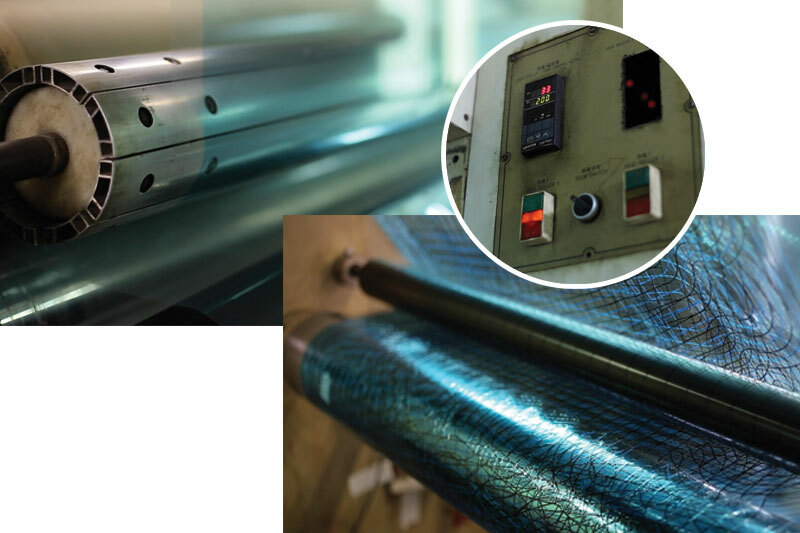 Once the fiber is laid, the open-faced film is moved to a very large industrial laminating machine to apply the final adhesive coating and the top layer of PET film. To rid the composite of extra glue and improve adhesion, everything is pressed between massive rollers under heat and extreme pressure. Upon lamination, the panels go into an oven for the final cure. The temperature and humidity are precisely controlled to ensure a perfect bond. 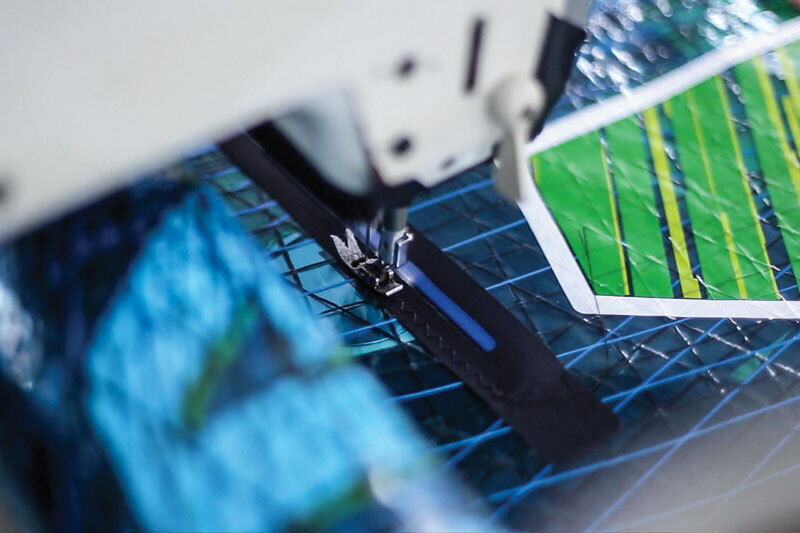 After lamination, sails are cut and assembled according to Avanti’s exacting standards. Atop standard construction techniques, many industry-firsts can be found, from hot glued seams and symmetrical batten pockets, to missing sock center seams, and helix leech 2plys. – A membrane construction gives you huge benefits in terms of rider comfort and performance. – A membrane strung with Aramid fibres is extremely stretch resistant so that there is less deformation of the sail profile even when under extreme load. 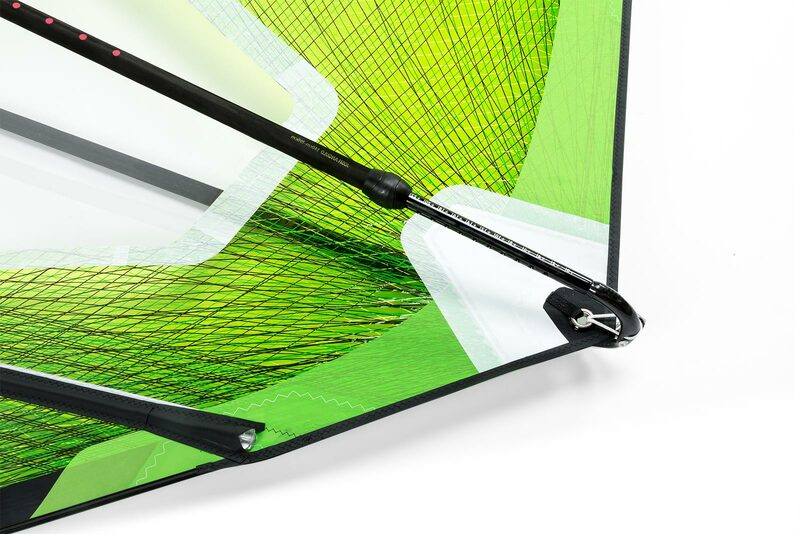 These features translates into a larger wind range as the sail does not buckle or balloon under heavy load but gives you superior gust response without distortion. 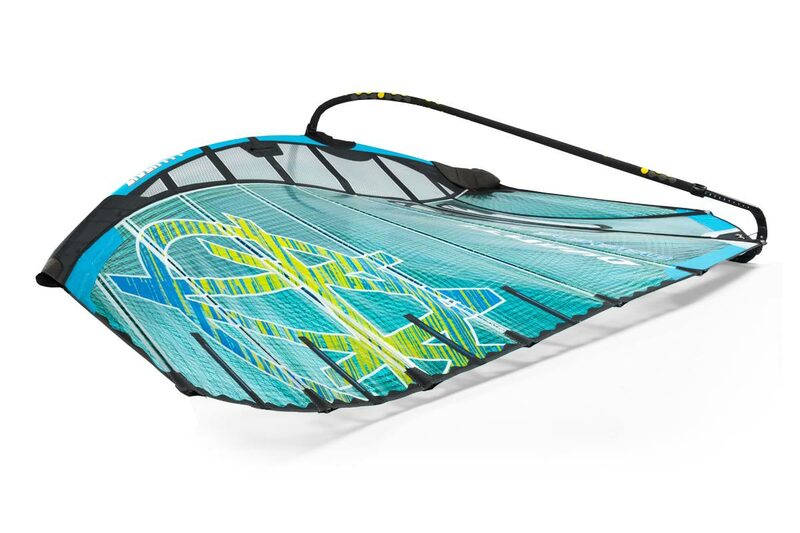 – This new found stability allows you to sail for longer, sail more effectively and without feeling fatigue.